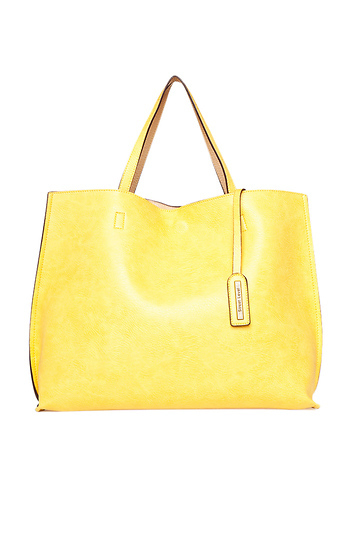 Faux leather tote featuring a reversible design so the bag can be flipped inside out for a different colored tote. Comes with a coin purse. This bag is absolutely gorgeous! It's really great quality to be faux leather. The only downside is that it smells reeeeeaallly bad!! But, if you sit it outside for a few hours to air out it will be fine. All in all, it's a steal! Definitely recommend it!